Google’s Hummingbird engine has a conversational search model, and long tail keywords now make up nearly 75% of all search queries. But how to go about finding those elusive, and effective, long tail keywords? Well, it’s much easier than it seems. All it takes is a little time, the right tools, and a bit of creative thinking. Essentially, a long tail keyword consists of a basic search term with added modifiers. Long tail keywords make it easier to target traffic, lead to better conversions, are less expensive in PPC advertising, and are typically much easier to rank for. So let’s look at some simple tips for identifying the most effective long tail keywords. Using Google’s own search box is the cheapest, and easiest, way to start looking for effective long tail keywords. The best part is, Google does most of the work. When you begin to enter a basic search into Google, the search engine auto-suggests possible extended search phrases. These are generated according to the most popular searches for a particular topic. While these suggestions may not have the highest search volume, the do offer a sound jumping off point and can be used to help define the most effective long tail keywords for your SEO strategy. Also look to the suggested searches at the bottom of the results page – these can be easy pickings for related phrases. Google AdWords’ Search Terms Report is a great resource when it comes to identifying long tail keywords. Using this tool, you can research the search terms people are using to find your PPC advertisements. Simply open your AdWords account, select an ad group, then click the dimensions tab. Next select the dropdown for “search terms” to view opportunities. AdWords will then generate a report showing all of the search queries that triggered your PPC ad(s). Depending on the type of matching you used, the search terms listed might be substantially different than your original keyword list. These can now be used to develop new long tail keywords to use in your advertising campaigns and on page SEO strategies. Google’s Keyword Planner can be a powerful ally in the search for long tail keywords. However, all too often we fail to use the Keyword Tool to its full advantage. For example, if you simply enter a stock search term, such as “Chicago SEO”, the keyword tool is only going to return basic variations on the phrase. But, it can do so much more! Using Google’s Keyword Planner, first click “Search for new keyword and ad group ideas”, then enter the URL of one of your competitors websites in the “landing page” field. Next, click “get ideas”, and you will be rewarded with an extensive list of keywords that are quite distinct and separate from the generic results you got from your initial search. These suggestions can be spun into highly targeted long tail keywords that can be deployed in your PPC ad campaigns and in your on page SEO strategies. When Google adopted keyword encryption for organic search, a lot of people backed away from Google Analytics in their search for effective keywords. But even though organic search terms are now almost 100% “not provided”, Google Analytics still has a lot to offer. If you open your Analytics account, head over to the “Acquisition” menu, and select “keywords” and “organic”, you can still mine some very useful data. Some of these may be search terms that you had not considered and offer valuable new opportunities. These alternate search terms can be used to help generate new long tail keywords. Use these search terms in a standard Google search to find competing sites that are ranking for those keywords. Then head back to Google’s Keyword Planner, and enter those competitor’s URLs in the “landing page” field, and spin out some more choice long tail keyword suggestions. Another fantastic option with Google Analytics is mining on-site searches, and this post goes into greater length on the topic. Ever since Google took away “not provided” from Analytics, GWT has become the go-to source for additional search query options. Many tools on the market, such as Raven and Moz, use this data to gather intelligent reports on potential keywords. Open up GWT and navigate to “Search Traffic” then “Search Queries” to see the keyword traffic already hitting your website. I like to sort by “Avg. Position” and go to terms that are around the 12-15 position range with high impressions. With a little on-site optimization, you can easily bump these terms to first page rankings! If you’re not familiar yet with Ubersuggest, make sure to check it out and enter a search query. 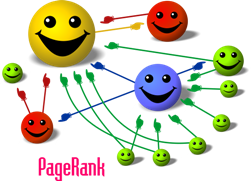 It will provide a nice list to explore further with either keyword planner mentioned above or by simply going back to the Google search box strategy I’ve discussed. However, SEMRush is by far the most used tool in my SEO arsenal. It is completely geared around keyword data, so it only makes sense that is has a “related” keywords section as well. Navigate to the “Keyword Research” menu, then choose the “Related” sub-menu. After you enter your keyword term, you will have 12 month volume date, CPC costs, and much more. I highly recommend this tool as part of your overall SEO strategy and to find long tail keywords in your industry. The search for effective long tail keywords is easier than many people think. It just takes time, and a little attention to detail. As mobile search continues to take over desktop search, and Google puts even greater emphasis on conversational search terms in organic search and PPC marketing, it will become increasingly important to know how to search for, and identify, the most effective long tail keywords.